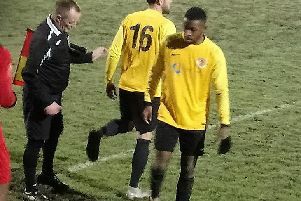 A foul on Will Pendred led to a red card for the Birmingham Tigers player and a goal for Sam Smith. Ajax boss Tom Coles made four changes to the side that lost to AFC Church the previous weekend, giving new signing Joe Wright an immediate start on his return to the club and restoring Jack Keeling, Lewis Fathers and centre-half Adam Trinder to the starting XI. Ajax controlled much of the first half at Tigers’ Hadley Stadium and were rewarded in the 23rd minute when Keeling thundered a drive into the top corner from the edge of the box after being picked out by a Fathers corner. With Wright and Gordon Lewis causing problems for the Tigers defence, Ajax had opportunities to double their lead on numerous occasions but a combination of good keeping and wasteful delivery in the final third allowed Tigers to stay in the game. The home side did show glimpses of attacking intent as they looked to pounce on any loose balls in the middle of the pitch. The closest they came was a shot from close range that Paul Dipple tipped over the bar. However, the assistant referee was already flagging for offside. Ajax gave Tigers a huge let-off just before half-time when Sam Smith had his penalty saved after Lewis was upended in the box. Smith’s follow-up was also kept out and despite Lewis forcing the ball home, another flag ruled out the goal. The second and decisive goal finally arrived in the 65th minute. Lewis flicked on a Wright pass to send Fathers through on goal and the midfielder lifted the ball over the onrushing keeper and smashed it into the empty net. 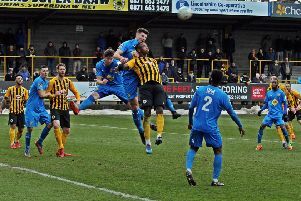 Tigers were reduced to ten men after Will Pendred was clattered as he went through on goal and from the resultant free-kick, Smith scored his fourth goal of the season with a low drive to wrap up the three points. There is a return to Ajax Park for Central Ajax this Saturday as they take on FC Shush, when they will be aiming to complete the double over the Solihull-based team.